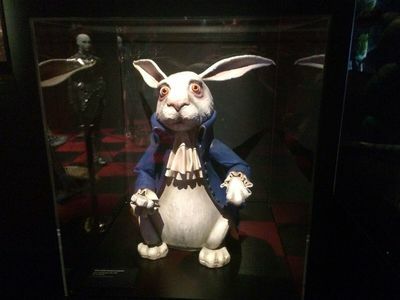 Lewis Carroll and Alice's adventures are very alive and well in the Australian Centre of the Moving Image (ACMI)'s latest exhibition, Wonderland in Gallery One. The timeless tale of Alice's Adventures in Wonderland from the story's inception to current times is celebrated here at ACMI's world premiere exhibition. 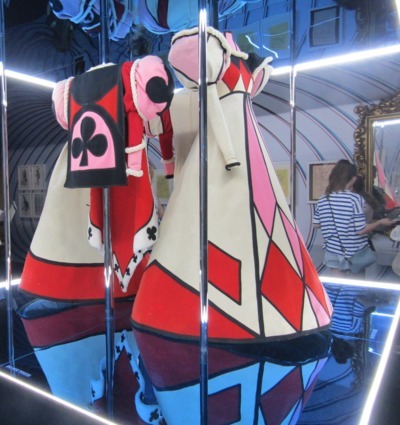 From costumes to film snippets, interactive Wonderland themed activities to movie paraphernalia, illustrations to artwork, Alice and her quirky characters can be found throughout the gallery space in various forms. As you walk down ACMI's stairwell, you are handed a "Lost Map of Wonderland" with which to journey down into the rabbit hole. Choose to enter via the tiny doorway if you wish and make your way into the Hallway of Doors. 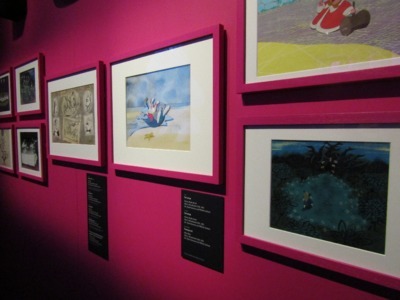 There is a lot to take in at ACMI's Wonderland Exhibition. This is no surprise considering some 40 film versions and over 30 television programs have been dedicated to Lewis Carroll's much loved tale. Not forgetting the past and present references to Alice & her adventures in music videos, video games, fashion and advertising. 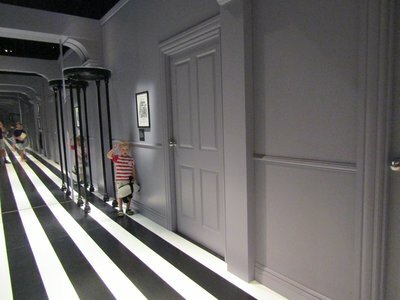 While the grown-ups will no doubt appreciate all there is to read and see in the exhibition space, children are more inclined to rush through and enjoy the interactive elements of Wonderland. 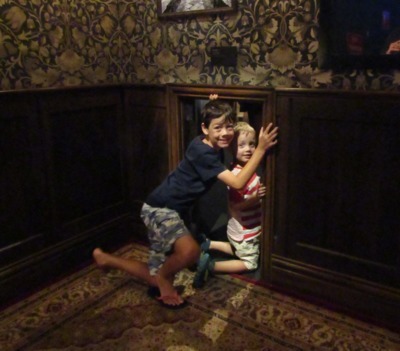 Luckily, there are plenty of sensory experiences in Wonderland to keep the little ones entertained. 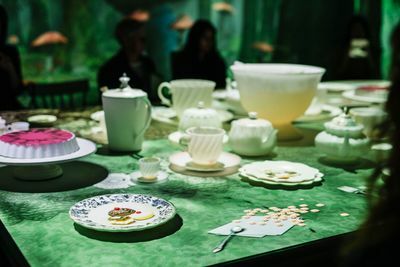 The Mad Hatters Party is undoubtedly one of the highlights of the exhibition; a 4 minute art projection experience where you sit down at a table all set for tea and see the room come to life in front of your eyes. Soon after, you are guided towards the Queen's Croquet Ground designed by Mosster Studio, where you design your very own playing card on the back of your Lost Map of Wonderland, and pop your head into a camera booth to see yourself transform into one of the Queen's playing cards! A big hit with the kids. Turn yourself into a Playing Card! 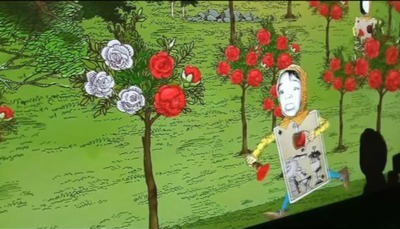 Wonderland at ACMI is a magical display, appealing to all ages from the young to the young-art-heart. You have plenty of time to "fall down the rabbit hole" in the heart of Melbourne. 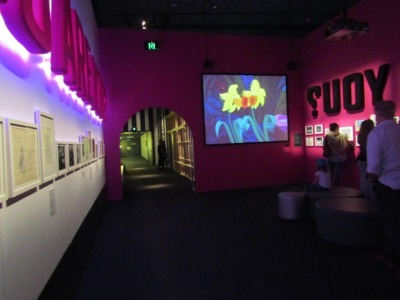 Entrance to Wonderland at ACMI is arranged via a selected session time. Book online to avoid disappointment if sessions are full when you arrive. 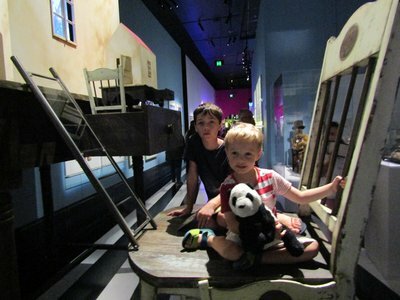 Cost: $25 adult, $21 concession, ACMI member $20, $16 child (under 4 free). Family: $65.